There are two types of ways to improve how well the tire meets the road. One is through aerodynamic loading; the other is mechanical loading generated from suspension setup. 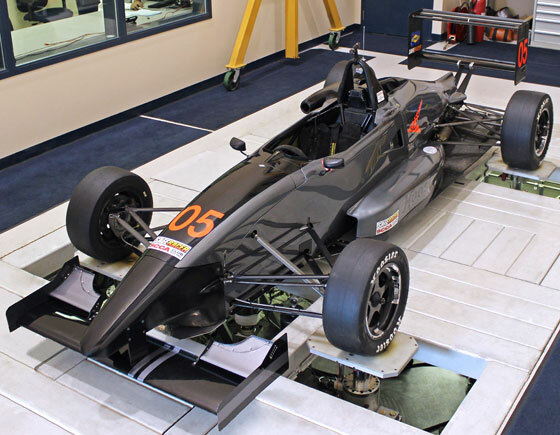 The ARC shaker rig allows customers to optimize the mechanical loading by testing various suspension setups in a controlled environment at a cost much lower than track testing. Customers have access to ARC's expert vehicle dynamics engineers that can provide assistance with test plan design, data interpretation and results analysis. 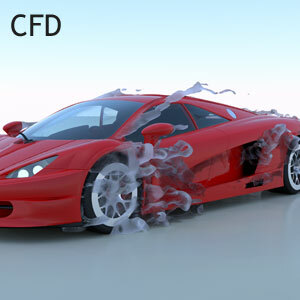 Various inputs can be fed into the shaker rig based on the amount of data the customer already has, sinusoidal waves and track simulation can be utilized for honing a suspension design for a particular race track or vehicle development path. On the data collection side, the customer can take home all data gathered during the test without needing extra software. 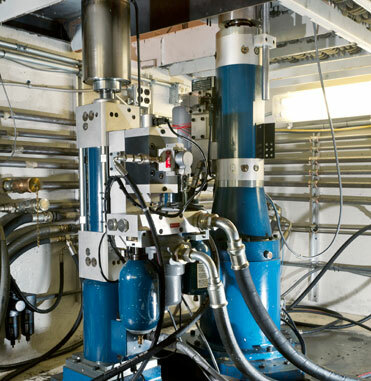 The ARC Shaker Rig is commercially and publicly available. ARC builds custom setup plates for aeroloading test for its customers and also provides consulting services to help hone in on the best test results faster. For information on booking contact ARC today via email or by calling 317-291-8600. 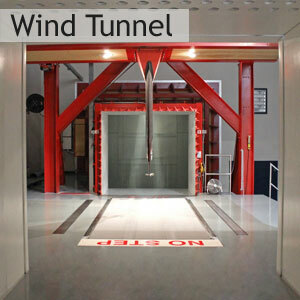 The 7-Post located at the ARC Indianapolis test facility caters to all vehicles and provides valuable feedback without lots of starting data. 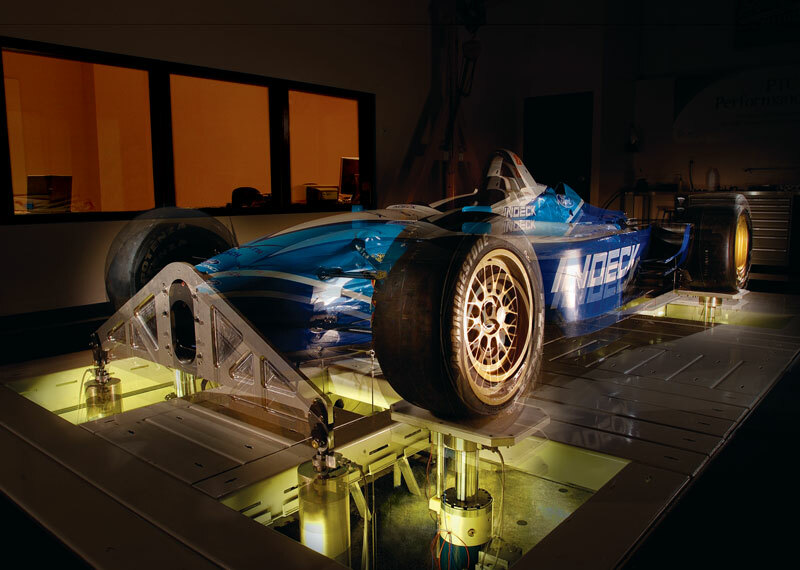 The vehicle dynamic rig can be configured as an aerodynamic loading 7-post or 4-post for low downforce cars. Linked with expert vehicle dynamic and shock/damper setting advice that is included in the facility rental, ladder series or amateur race teams can find ways to make the car easier to drive and improvements in lap times. Inputs can be provided by the customer or by using ARC's database of sine sweeps and actual track data. Another use for the 7-post is weight tuning on the vehicle, each post accurately measures the loaded weight. Thus, the customer can gain an understanding of how shifting weight around on the car actually affects the corner weights. The difference between using a 7 or 4 post test depends on the type of vehicle and if the car is dominated by mechanical or aerodynamic grip. 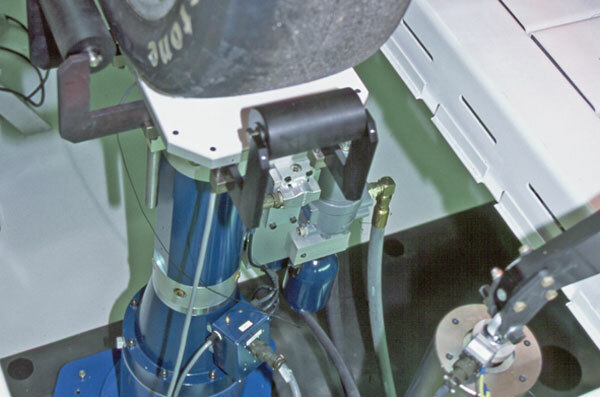 As the name 4-post implies, only four of the hydraulic actuators are used. This configuration is often used for road cars and low aero race car where each tire is on an individual actuator. Using the 4-post also requires the lowest amount of setup. A car can be rolled into the shaker rig and after attaching six accelerometers testing can begin. When aerodynamic loads become prevalent, the 7-post is used. It does require an additional chassis mounting structure to attach the three additional posts which must be designed and built prior to arriving at the rig. With the 7-post configuration a complete lap can be replayed to the car and the data analyzed. This gives a complete picture of the vehicle dynamics at the track. ARC 7-Post aero loaders use Servotest electric feedback (EFB) servo valves. 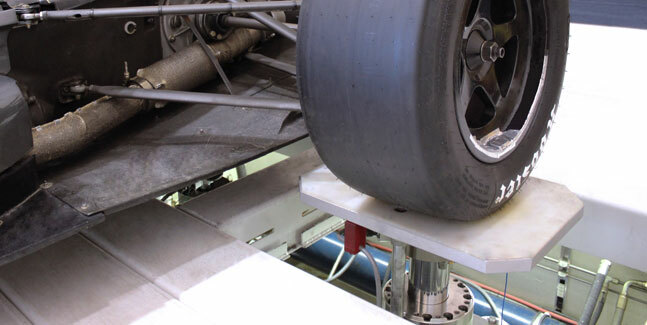 The Servotest system is already class leading with its ability to apply a Ride-Height dependent aeromap instead of simply applying a static force. The EFB valves will allow for quicker changes of the applied force thus making the replication of aerodynamic forces even better. Users of the rig will gain provides more understanding on how platform control affects the cars downforce, thus improving track correlation. ARC has many of these items at the 7-post facility in case you forget something.